The Shella River in Meghalaya state, northeastern India is a natural habitat of this species. 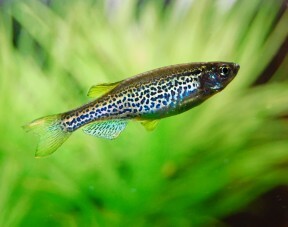 The 'leopard danio' (aka 'B. rerio var. frankei') is an ornamental form of the species. This ornamental strain is known as 'Russian long-fin blue'and appears to be derived from the leopard form. 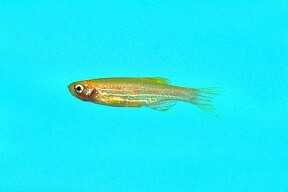 Transgenically-modified specimens marketed as 'glofish' have appeared on the market but are illegal in some countries. 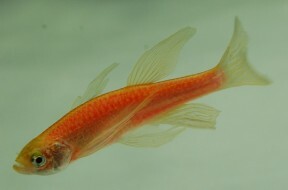 ...as has this other, short-finned 'golden' form. The 'golden' forms are leucistic rather than albino. rerio: appears to be derived from a local vernacular name for the species. Described from the Kosi River, a tributary of the Ganges system in Uttar Pradesh state, northern India. It was traditionally considered to range westwards from Pakistan though India (with Karnataka State representing the southern extent of its range) as far as Myanmar, thus also occurring in Nepal, Bhutan and Bangladesh, but current knowledge suggests a more restricted distribution. The primary reason for this is that many older records almost certainly represent misidentification of other species. In Myanmar, for example, the last record of D. rerio was in 1926, but in the years since several new, similar-looking fishes have been discovered and described to science, with others still to follow. Agriculture, industry, modern fishing methods involving industrial reagents and other forms of habitat degradation may also have adversely affected its range. At any rate it may be restricted to India (with the Eastern/Western Ghats mountain ranges representing its southern limit), Bangladesh and possibly Bhutan. This area is subjected to seasonal rainfall between the months of June and September due to the southwestern summer monsoon meaning habitats vary considerably depending on the time of year. Wild caught fish have virtually disappeared from the aquarium trade since it’s more cost-effective to produce on a commercial basis. As a result it’s become one of the most heavily-farmed species in the hobby, now available in several artificial forms (see ‘Notes’), and invariably very cheap to buy. If you want wild specimens some specialist retailers carry them sporadically. A 2007 survey by Engeszer et al. 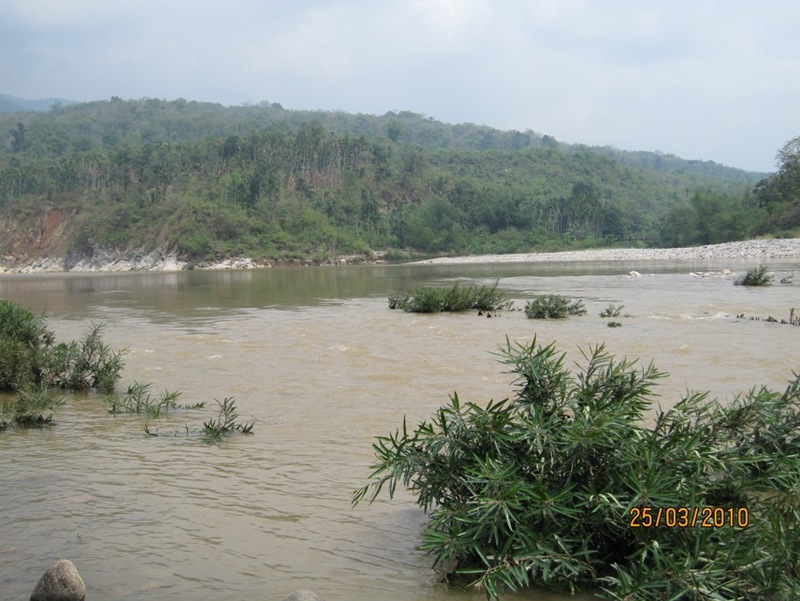 recorded D. rerio at 28 sites in north-eastern India and found that in half of them water flow was either slow or non-existent. The most common substrate-type was silt, submerged/overhanging vegetation was typical and generally the fish were more abundant in marginal/seasonally-inundated pools and mature rice paddies than stream or river channels. When they were observed in flowing streams with rocky substrates they tended to school in marginal zones with overhanging vegetation. The water in most habitats was clear or relatively clear, only occasionally turbid. Sympatric species across the localities included Opsarius barna, B. bendelisis, Danio dangila, Devario assamensis, D. devario, Laubuca laubuca, Esomus danricus, Pethia conchonius, P. shalynius, Oreichthys sp. ‘sail fin‘, Lepidocephalichthys annandalei, L. guntea, Badis blosyrus, Dario dario, Colisa chuna, Ctenops nobilis, Aplocheilus panchax plus unidentified members of Oryzias and Lepidocephalichthys. Potential predators comprised various Channa species, Mastacembelus armatus, Mystus bleekeri, Xenentodon cancila and Notopterus notopterus. 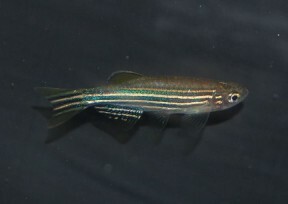 The authors’ final hypothesis as to the life cycle of the zebra danio was that adults spend dryer months of the year in permanent streams and minor rivers. There they inhabit calmer, shaded areas before migrating into seasonally-inundated tributaries, marginal pools and rice paddies during the monsoon to spawn. The latter are typified by dense growths of flooded vegetation and silty substrates, and the young fish remain there until the flood waters begin to recede. Usually 40 – 50 mm. An active species so even a small group needs an aquarium with minimum base dimensions of 90 ∗ 30 cm. Filtration does not need to be particularly strong given its natural habitat preferences though it does seem to appreciate a degree of water movement. Temperature: The temperature range in its native waters was recorded to be 76.2 – 101.5°F/24.6 – 38.6°C during the month of July but presumably drops somewhat during winter. For general maintenance a value of 18 – 25 °C should suffice meaning a heater may not always be required. Stomach analyses of wild specimens have shown it to be a micropredator, feeding on aquatic crustaceans and other invertebrates such as mosquito larvae. In the aquarium it is unfussy and will accept just about anything offered. Offer a balanced diet comprising good quality dried products along with small live and frozen foods such as Daphnia, Artemia and bloodworm. This species is very peaceful indeed and can be combined with many of the most popular fish in the hobby including other small cyprinids as well as tetras, livebearers, rainbowfishes, anabantoids, catfishes and loaches. As always when selecting a compatible community of fishes thorough research is essential, and its small adult size must be a consideration. It is a schooling species by nature and should be maintained in a group of at least 8-10 specimens. An excellent choice for those new to breeding fishes in aquaria. Like many small cyprinids it is an egg-scattering spawner that exhibits no parental care. When the fish are in good condition they should spawn often and in a densely-planted, mature aquarium it is possible that small numbers of fry may start to appear without human intervention, but if you want to increase the yield of fry a slightly more controlled approach is required. The adult group can still be conditioned together but one or more smaller containers should also be set up and half-filled with water. The pair should spawn the following morning. The easiest and quickest way to tell is simply to look at the female. If the fish have spawned she will be noticeably slimmer. Incubation is temperature-dependant to an extent but usually takes between 24 and 36 hours with the young free-swimming a few days later. Initial food should be Paramecium or a proprietary dry food of sufficiently small (5-50 micron diameter) grade, introducing Artemia nauplii, microworm, etc., once the fry are large enough to accept them. 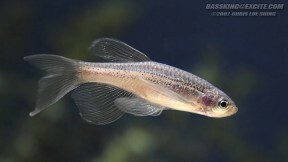 B. rerio is one of the most popular and ubiquitous fishes in the aquarium hobby, and its popularity is well deserved since it is peaceful, hardy and inexpensive. Unfortunately it has been mass-produced in huge numbers for many years, thus inbreeding has occurred on a large scale and quality stock can be hard to find. Alongside morphological deformities common ailments include ‘neon tetra disease’ (NTD), caused by the microsporidian parasite Pleistophora hyphessobryconis and basically untreatable once it reaches an advanced stage. Symptoms include restlessness, increased respiration, white patches on the skin, and an individual separating itself from the group. The spores (larval stage) of the parasite enter the fish through the mouth and burrow through the walls of the gut before settling in the muscles. There they produce cysts which cause rapid degeneration of the muscle tissue and development of the characteristic white patches. Once the disease takes hold mortality rates can rapidly become very high. No medication is available, and the only way to ‘treat’ the tank is to physically remove any fish displaying symptoms. Similar symptoms are caused by a severe form of the pathogenic bacterium Flavobacterium columnare, and this is sometimes mistaken for NTD (Michel, Messiaen, and Bernardet, 2002). Another common problem is microsporidiosis, caused by the parasite Pseudoloma neurofilia (Matthews et al. 2001), with external symptoms including chronic emaciation and curvature of the spine having led to the vernacular term ‘skinny disease’. Its life-cycle is similar to that of F. columnare in that it is ingested orally, but the main site of infection is the central nervous system, and it can be tricky to diagnose since infestations have been recorded in seemingly healthy individuals. 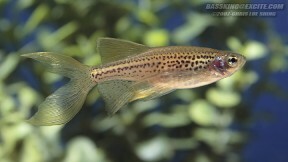 The ‘leopard danio’ is a spotted morph of B. rerio which was described as Brachydanio frankei (Meinken, 1963), but is now generally referred to as B. rerio var. frankei. Its origin was considered something of a mystery for a number of decades, with the most accepted theory being that it was produced via selective breeding, but it is now known to be a spontaneous mutation of the striped form which also occurs in the wild (Spence et al., 2008). There do exist several ornamental strains, however, including a xanthistic ‘golden’ form and a long-finned variety. 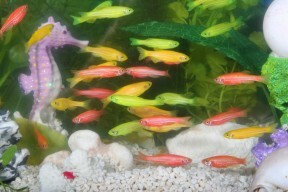 More recently, transgenically-modified ‘Glofish’ which flouresce constantly have appeared on the market. These were originally produced by the National University of Singapore in an attempt to mutate a fish so that it would literally glow in the presence of certain environmental toxins and are available in a number of colours, including yellow, green and red. The substances causing this effect are proteins extracted from a particular jellyfish (green and yellow forms) or coral species (red form). An American company quickly purchased the rights to market Glofish in the United States where they’ve achieved a fair level of popularity. As things stand they’re illegal to buy, sell or own within the European Union although several instances of smuggling have been recorded, the punishment for which is a hefty fine. 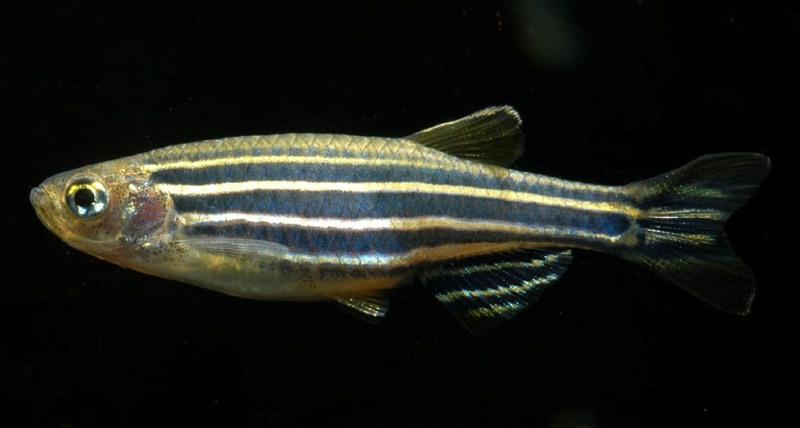 B. rerio is a commonly-used model organism in scientific research, particularly the fields of vertebrate ontogeny and gene function, and is one of the few fishes to have been launched into space! Muscle infections in imported neon tetra, Paracheirodon innesi Myers: limited occurrence of microsporidia and predominance of severe forms of columnaris disease caused by an Asian genomovar of Flavobacterium columnare. Distribution, endemism and threat status of freshwater fishes in the Western Ghats of India. Zebrafish in the wild: a review of natural history and new notes from the field. Danio quagga, a new species of striped danio from western Myanmar (Teleostei: Cyprinidae). Pseudoloma neurophilia n. g., n. sp., a New Microsporidium from the Central Nervous System of the Zebrafish (Danio rerio). Mitteilungen der Fischbestimmungsstelle des VDA XLII: Brachydanio frankei spec. nov., der Leopard-Danio. An updated checklist of ichthyofauna of Eastern Ghats. The behaviour and ecology of the zebrafish, Danio rerio. The distribution and habitat preferences of the zebrafish in Bangladesh. You might want to update your information on zebrafish diseases. 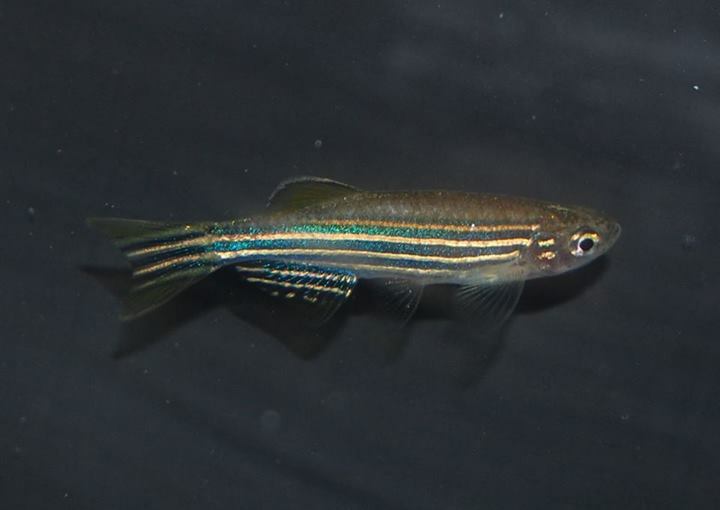 You mention neon tetra disease, but do not mention its relative, Pseudoloma neurophilia, which is one of the two major infections of zebrafish in research labs. It also seems to be widespread in hobbyist fish. 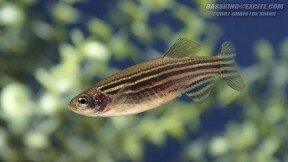 Here (http://zebrafish.org/zirc/health/diseaseManual.php#Microsporidiosis) is a link to the zebrafish disease manual which contains a lot of information on this disease (and many others). Hi Bill, thanks a lot for the feedback and link, I’ve just made some changes to the profile text. Matt, with neon tetra disease you probably mean a sporozoan disease Pleistophora hyphessobryconis (and not Flavobacterium columnare, which is bacterium)? You wrote: “The spores (larval stage) of the parasite enter the fish through the mouth and burrow through the walls of the gut before settling in the muscles.” This is possible only for sporozoan parasite, not for bacterium. Yeah that’ll need editing Bojan, and think the issue is down to my poor interpretation of this paper a few years ago. Seems Flavobacterium can cause symptoms similar to those of Pleistophora, but of course they’re not the same disease. Thanks for pointing it out! Thanks for the link! Will update now. 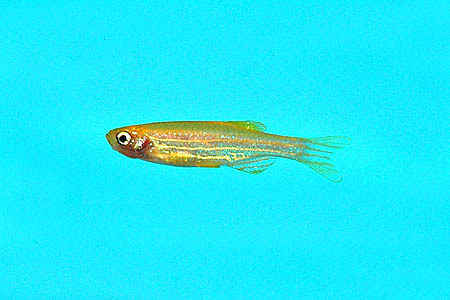 The well-known genus Brachydanio becomes a junior synonym of Danio (sensu stricto). We herein place Celestichthys in the synonymy of Danio, preserving monophyly of that group, as also suggested by Conway et al. (2008) based on nuclear sequences and morphology. 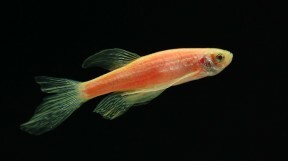 Danio erythromicron is sister to D. rerio in the phylogeny of Rüber et al. (2007). Hi Jos yes, we are aware – just haven’t got around to updating this yet. Thanks for the heads up and will try to make this a priority. The name change to Brachydanio was based on Kottelat (2013) but it has since been placed back in Danio (or at least referred to as a member of that genus) by several subsequent authors. I had five zebra danios in my tank, all normal colored, wild type fish. A while ago I discovered a young fish between the plants which I raised and has turned out to be of the leopard variety. Probably makes sense since it is a mutation, but I found it interesting to mention none the less. Do you think the parents had leopard type danios among their ancestors or could it really occur just randomly in any zebra danio offspring? Does anyone else have a similar experience?